Business Security System Installation and Support. HOW CAN WE HELP?Enter your details and we’ll be in touch. AlertSystems will always respect your privacy. 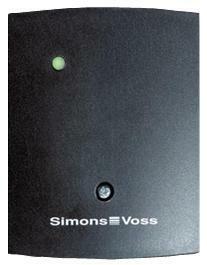 The digital Smart Relay 3063 fulfils the function of an access control reader or a key-operated switch. In the System 3060, it opens electrically operated doors, gates and barriers, and switches lights, heating and machinery on and off. It passes transponder data on to external systems – e.g., time monitoring, canteen billing and facility management. The typical reading range is up to 120 cm.